I made a collective post from October to May few weeks ago and it took me a while to collect all of the stuff I got from all those months. Good thing I shot most of the pictures I got then. For this month, my birthday month, I only got few items which comprises most of subscription boxes, maternity dresses, and few beauty products. I’m saving more for babies stuff soon. I actually bought some baby stuff already and will blog a separate posts on what newbie moms need to prepare before giving birth. I mentioned before that I was one of Caronia's ambassadors and they're sending me gift every time they launched new nail care set or even new polishes. This is perfect because mt nails need some pampering after the stressful week. You can check the unboxing post I did here. This box arrived last June 3 which is why it's included in June's haul. You can check the unboxing post I did here. These were just some of my maternity dresses which I bought last month before the school year started. I found a shop which sells very affordable dresses that can also serve as maternity wear for less than P300. Imagine comparing it to the very expensive maternity dresses you can buy at the mall! Last summer, I was still using the oversized shirt and pants at home but I needed new dresses for work to look presentable to my students which made me buy these. My teacher uniform won't fit me anymore. I ordered two batches of maternity dresses online and got some from the mall as well. Btw, the red Lacoste dress in the photo was given to me by my new co-teacher. A gift from my eldest sister Felice. She always gives me bags during my birthday or Christmas. I've been hooked with Lacoste before but I'm trying something new and that's Longchamp. I think this bag and the Lacoste are perfect for teachers like me who always has a lot of things. My sisters and I decided to purchase stuff from Althea the last time I went home. We seldom see each other anymore unless I go home once in a while. The eldest got the cream and the second got her mist. All remaining products are mine and will be reviewed soon. All in all, the subscription boxes took most of my stuff for June together with my maternity dresses. For this month, I’m stocking more on baby stuff but we’re doing it little by little because according to my older colleagues, I don’t need to buy so many items for newborn because babies grow up fast. I only got those stuff that I think were important. I think my monthly haul from now on will make a huge turn on the products I purchase every month, especially that baby number 1 is coming on the way and I’m excited to buy her stuff. I’m just really trying to hold myself in spending because I know she will have more needs once she’s out. Beauty products will be put on halt from now on I guess, especially if it’s not really needed. I think I have to unfollow some IG stores too so that I won’t be tempted to purchase beauty products. Hopefully I can go back purchasing beauty stuff once I am well-adjusted with our household expenses together with our newest member in the family. Yes. 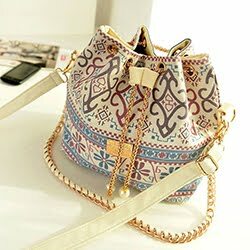 We love Korean makeup and skincare and we always update each other whenever we want to buy something from the site. I love the bdj, 2 boxes from glamourbox, and the althea haul... Haha... It's great that you bought I few stuff for you before the baby comes out. They say the moment you become a mom, you'd buy less for yourself. Yup. And more for the baby. I'm actually eyeing more baby stuff now than beauty stuff so I guess this pretty much sums up what the thought of a mom is. You've got some great products!! I have the bio oil myself too. It's a very nice product. I love your stuff from Althea as well. I love using mists. ENjoy all the products! I am currently using an Aloe Vera mist from Etude House and this mist is for my sister. She's loving it! Oh! First of all, I would like to congratulate you on your soon to come baby! It's so nice to see that you are that prepared knowing it's your first time. Well, most of new expected moms don't know what to do but of course, there are some who are just like you who want to prepare everything so that when the baby arrives, everything is set it. Anyway, sure you'll be quite as soon as number 1 baby arrives. Please stay safe! Thank you. I am currently on complete bed rest now and I took off some time from work to make sure that baby is safe. Really praying for a safe and healthy delivery. Praying that baby will come out on full term because I'm currently a little early on my due date. What a great collection! :) Good find on those very affordable maternity dresses! Prices in the mall are indeed steep. I've tried purchasing from Althea too. I love that we don't have to go far for our beauty and skin care needs. 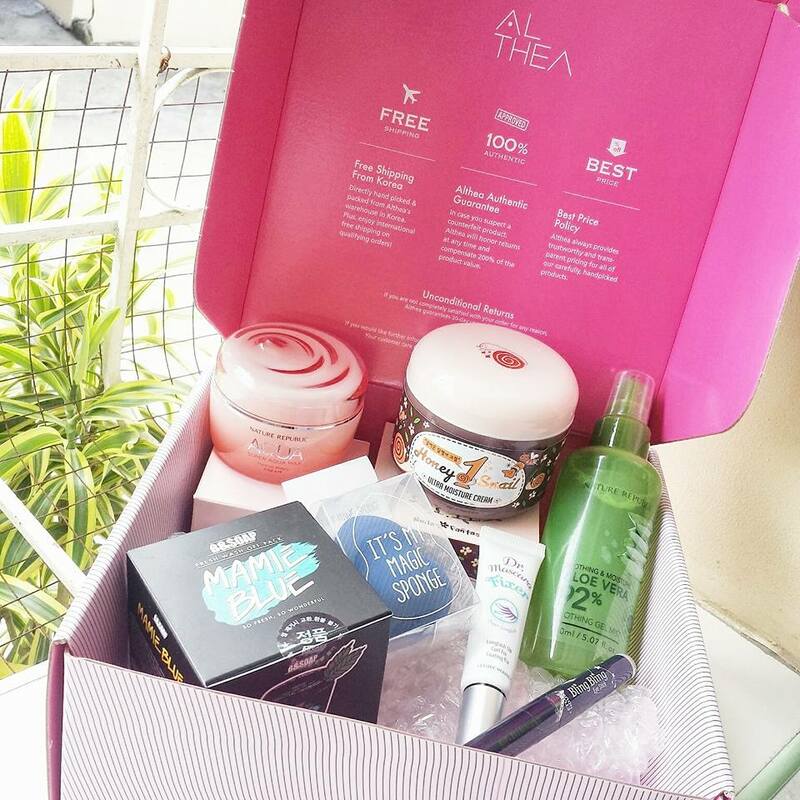 We love Korean skin care and makeup and Althea offers wonderful discounts and free shipping for a certain amount of order. Those maternity dresses are absolutely brilliant. I got some for as low as 200 pesos. Ww! Smany awesome collections! Congrats obn the baby, nd yes ots truethat too ich nrwborn stuff is unnecessary! Seems like you're in a hurry to comment! Cool! You're an expectant mom! Congratulations! Btw, that's only "few items" for you? I'm scared to ask what is "A lot" for you. LOL. Yep, baby stuff will definitely be more exciting to shop around for. One just have to learn to hold on buying stuff because friends will give away theirs based on experience. You can check my previous haul and you'll know what I'm talking about. Haha. Maternity dresses are expensive so I was really surprised na may mura pa pala ngayon. I always use over-sized shirts when I was pregnant. Yeah. I was shocked when I discovered that maternity dresses ranges from 500 bucks and above. Some know brands actually are a thousand more. Actually, the store where I bought the dresses doesn't really sell maternity dresses. Those are just xl to xxxl sizes. Some are free sizes too. I also think so. I'm actually excited how it will totally change this time. I was also shocked with those maternity dresses. They're so affordable. A price of one in mall is equivalent to 5-6 of these dresses. I was so thrilled that I have a keen eye on shops that caters dresses that can be maternity wear. Congratulations on your upcoming baby, hauls are great definitely I love all of them, I'm into beauty products as well especially Korean products, skincare and more. Same here. I have a Korean skincare routine and I'm loving it! Great haul! There so many beauty boxes. Yeah, those maternity dresses are the bomb of the haul. Btw, congrats girl! This are great haul! I love the beauty boxes.... a lot hahaha! Thank you sis. A little nervous and overall excited actually. Thank you. They're so affordable actually. This is the collective haul. I think what you read specifically are the unboxing of the items. That a great collective haul sis! I love your revlon collections! Specially the nail polish. I used to love nail polish before I got pregnant. I always have Manicure Mondays posts but since I got pregnant, I refrained from using harsh chemicals on me so I will resume using them next month after giving birth. I envy your haul! Lols. Especially the BDJ and Glamourbox! Still contemplating to get myself one since I still have a lot of makeup to use. It would be my first time to use Pixi and getting it for a lower price, I think it's worth it. You got lots of beauty stuff this month. I actually don't buy or get these stuff. With a family of 7, medyo tipid-tipid ang kailangan. Oh. The bigger the family, the bigger the expenses so I understand why. Althea looks very promising. I've heard a lot about it. And also, maternity dresses shopping must be fun! But yeah reusing it or getting hand me downs would be okay too, since you'll only use it for a season. I think I have to halt with those subscriptions na! Haha. Baby's on the way and it would be great to invest too her first. :) Thanks! I haven't been here on your blog for a very long time! And congratulations on your upcoming baby! Those are really affordable maternity dresses! Been MIA for a couple of months because of the wedding and my pregnancy. I'm back again! Wow!! I love this hauls!! I also ordered my box on Althea! Can't wait! Caronia and Revlon are like what? The most trusted brands na, no? They've been in business for a very long time already. True! Already made a history with those names. This is for June. Already working on July post.